Dharma Production's Kalank is dropping bombs that we cannot recover from. 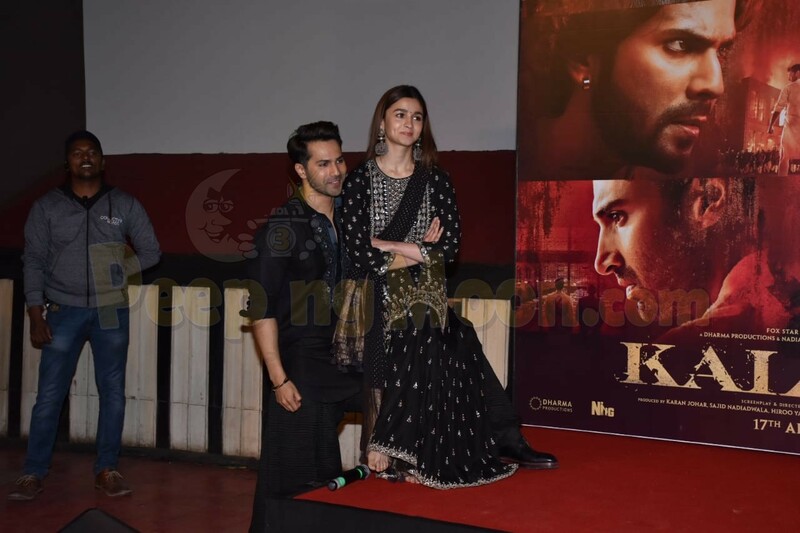 The movie had yet another song launch this week and as the name goes, it is 'First Class'.The Kalank stars were seen swaying on Varun's dance number and they were a picture to behold. What caught our eyes were their wardrobe choices that beckoned us to do some digging! Missed the details? Don't worry, we got you! 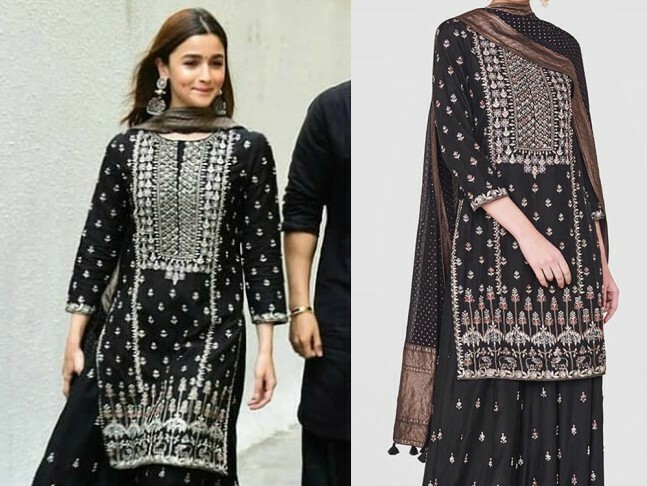 Styled by Ami Patel, actress Alia Bhatt a.k.a Roop donned this black Anita Dongre number for the event. She opted for a black gharara outfit with intricate gold details and work. Accessorized by Apala, she was truly a vision to behold! 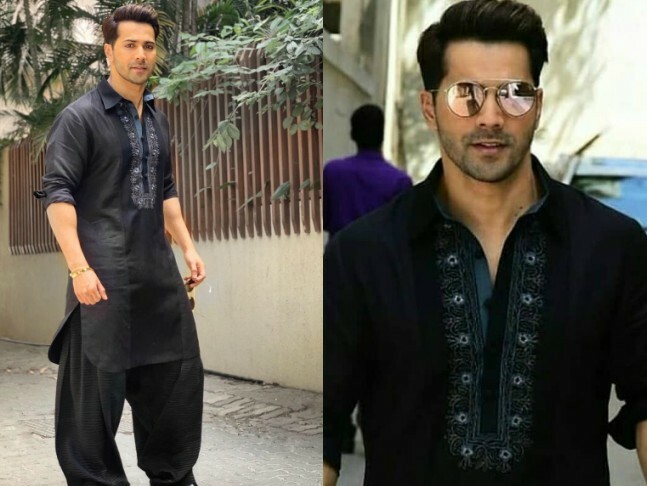 Complimenting Alia, Varun Dhawan brought his sartorial A-game in his traditional avatar as well. Styled Priyanka & Kazim, the Kalank actor was an absolute charmer in this custom Manish Malhotra ensemble.